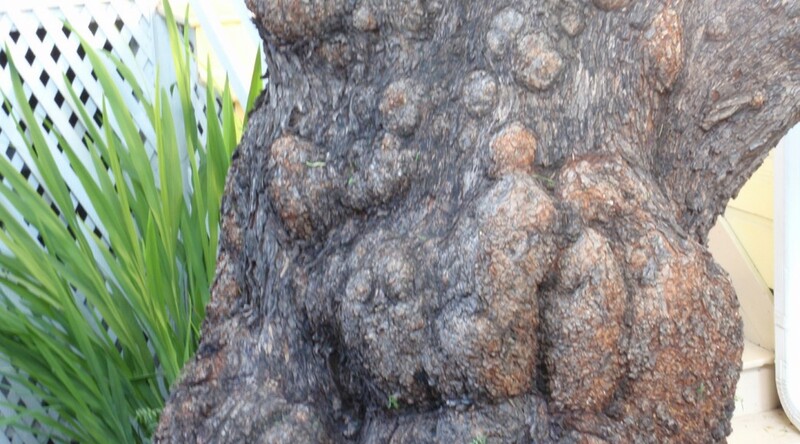 One day, I noticed a nativity scene made by Mother Nature in the bark of a Chinese Pepper tree. 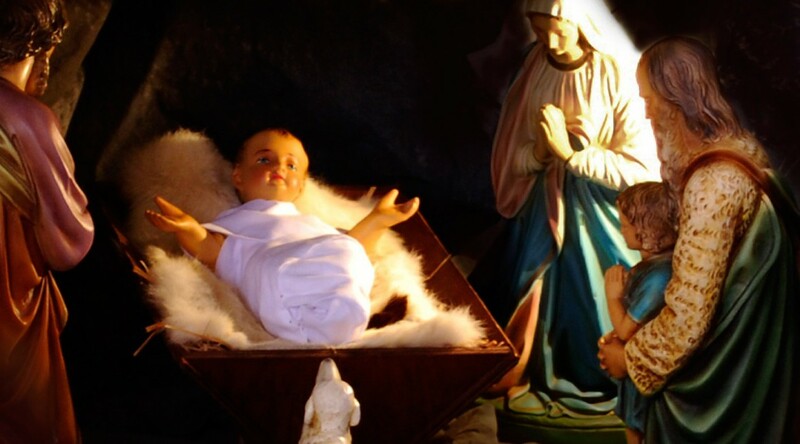 I saw 3 kings on the right bending over the Christ child, with cherubic angelic faces above, and more angels on the ground peeking over the manger. 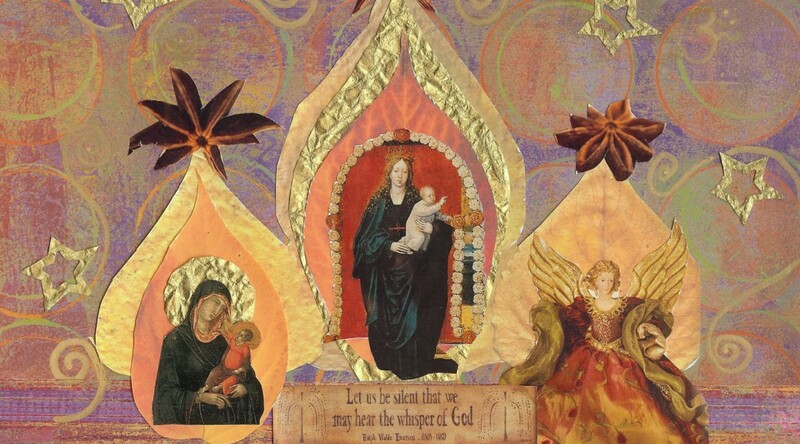 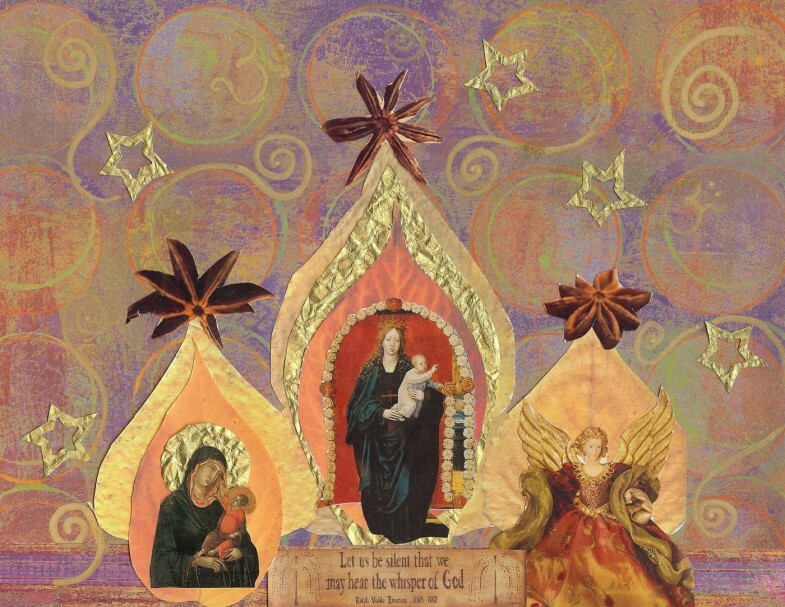 This is a collaborative group collage I did with my friends for Amma’s Circle of Love Letters one year.